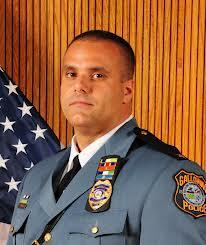 GallowayTwpNews.com Publisher had an in depth conversation with Chief of Police Patrick Moran on Thursday, February 28, 2013 at 5:40 p.m. via telephone. The conversation that lasted 1 hour and 22 minutes consisted not only of the Police Department's current grievance against the Township filed by multiple officers within his department, but other in-depth issues as well. The grievance discussed was in reference to the last round of Promotions that took place this year. however Township Manager Arch Liston will be provided with original Screen Shot. Moran confirmed in that conversion and later in an email to this Publisher on Wednesday, March 6, 2013, "The Union is proceeding with the grievance. All information related to this is now related to litigation / negotiations." Additional details Moran provided to this Publisher *updated* are under review. GallowayTwpNews.com has obtained comments from Township Manager Arch Liston and Councilman Jim McElwee as it pertains to the promotions. Comments sent to Shop Steward Kevin Welsh and Attorney Myron Plotkin have yet to be returned. GallowayTwpNews.com has been investigating multiple tips provided by various sources in reference to the Police Department Policies and Procedures since January 2013. During my conversation with Moran, he indicated that due to the various OPRA Requests with his Department, he has decided to have the procedures reviewed for inaccuracies. Moran also stated in his conversation with this Publisher on February 28, 2013, that due to a comment made by GallowayTwpNews.com in an email on January 17, 2013, stating, "I can track as of yesterday, that after I sent my email, someone from the Township googled, exemption on police department SOP's", he contacted the Atlantic County Prosecutors Office for an inquiry into an alleged security breach by GallowayTwpNews.com. A inquiry Moran confirmed was later resolved and cleared. Details on an email sent by Moran to his entire Police Department on January 16th and January 17th, 2013 regarding the above incident and regarding tips and inquiries provided to this publisher will also be released.